Mega Sale! 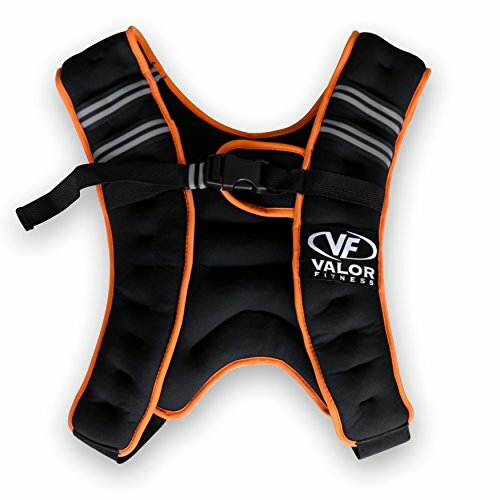 Save 27% on the Valor Fitness EH-18 18lb Weight Vest by Valor Fitness at Strongman Pictures. MPN: EH-18. Hurry! Limited time offer. Offer valid only while supplies last. One size fits all. Heavy duty stitching for extra strength and durability. Snug fit. Designed for comfort. Warranty: One year. Made from neoprene. One size fits all. Heavy duty stitching for extra strength and durability. Snug fit. Designed for comfort. Warranty: One year. Made from neoprene. Made in China. No assembly required. 16 in. L x 13 in. W x 3 in. H (18 lbs.). The Valor Fitness EH-18 Weight Vest 18lbs, whether you are looking to build muscle, lose weight, or build cardiovascular conditioning, is a great accessory to wear to the gym, at home, or in the commercial training environment. The EH-18 Weight Vest is constructed from strong fabric with heavy duty stitching for strength and durability. This vest will fit most individuals (Men and Woman), and a strap design keeping you cool and mobile when training. At 18 lbs. you are sure to accomplish your fitness goals.